I can relate. I don’t believe he would be to happy about the way folks celebrate his feast day. He drove the snakes out of Ireland, he didn’t drive them in. Just as St. Valentines day is not a free day for fornication. My husband was in Dublin for St Patrick’s Day one year and it was very quiet. The only people who get drunk and obnoxious are those wo do no understand the Saint or the feast or the faith behind him..
For more help, please follow the link below. Think. 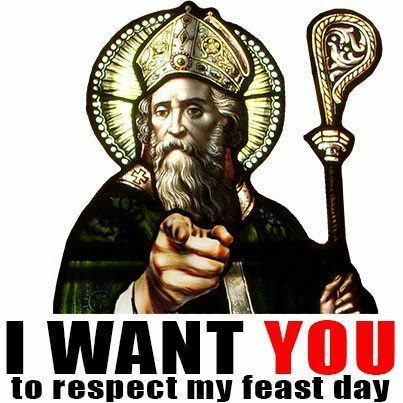 What Is a Catholic Feast Day?